Of course you as a parent want your child to travel as safely as possible in the car. Choosing the right child car seat is an obvious first step to achieve this. However, there are also several other things you as a parent can do for the safety of your children. Below are BeSafe’s best tips for a safer journey. No matter how safe a child car seat is, it will not work as intended if it is not installed correctly. It is ultimately of course your responsibility as a parent that the seat is properly installed according to instructions. Especially if seats are moved frequently between cars, it is important that it is fitted correctly every time. If you are unsure, please visit your local retailer and ask them to show you how the child car seat should be fitted. It is extremely important that the the internal harness is securely tightened and placed near the child’s body. To check if the harness is tight enough, try to make a fold in the shoulder belts. If this is still possible, the harness is not tightened enough yet. The handle of a baby car seat is often marketed as a carrying handle, which it is. But above all the carrying handle of BeSafe baby car seats serves as a roll-bar in the event of a collision. The carrying handle on BeSafe’s baby car seats should therefore always be in an upright position during a journey. This protects against rotation in the event of a rear collision. 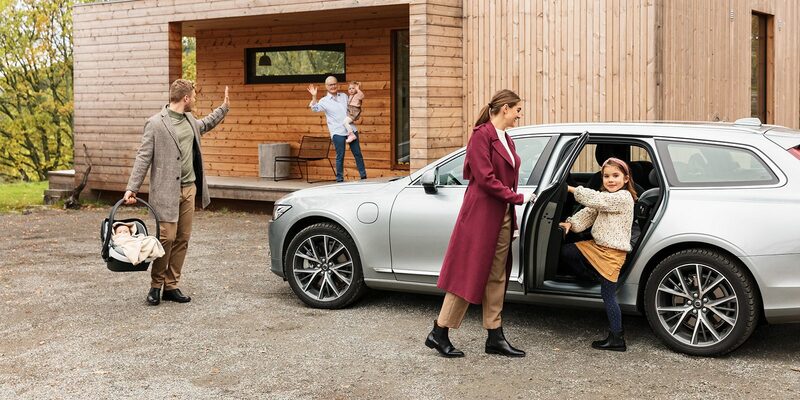 Entertaining kids in the car can be difficult and many parents therefore choose to provide their children with various toys or portable screens during the trip. Just keep in mind that loose objects like these will move around and become extremely heavy in the event of a collision. The same goes with luggage. Ensure that everything is secured properly and that there is no risk of loose objects flying around the car interior. To safely use tablets inside the car, we recommend you to place them inside the crash-tested BeSafe tablet & seat cover. Whether you as a parent chose to place your child in the front seat or the back seat there is a risk you will be distracted if the baby starts to cry. It’s easy to try to comfort them while you drive, but do try not to do this! Instead, try to get into the habit of stopping the car and comfort your child in peace. In this way, you reduce the risk of an accident obviously. Use accessories that help you tackle both large and small challenges. BeSafe has developed many smart accessories that make car journeys easier and safer. One example is the new sleeping help cushion. When falling asleep in the car, children just like adults sometimes have their head falling forward. 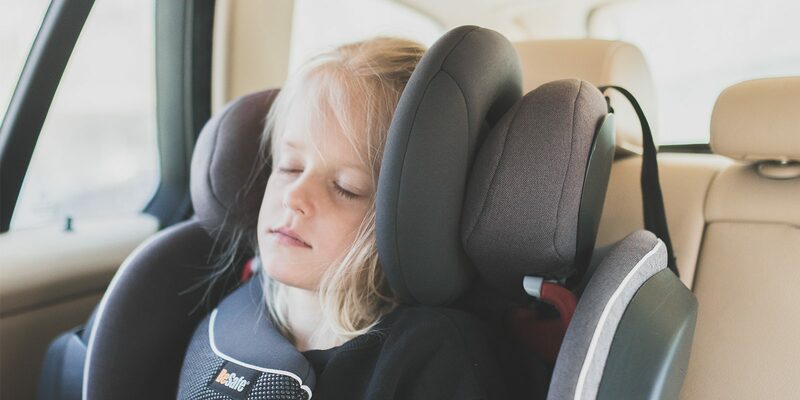 The sleeping help naturally invites them to rest their heads sideward, thereby staying within the protection area of the seat’s headrest. Another tip is to always use a baby mirror with integrated soft lights to be able to keep an eye on your child in the back seat even when it’s dark outside. It is proven to be five times safer for a child up to four years to travel in a rear facing child car seat. Therefore, choose a seat that allows your child to continue to travel rear facing as long as possible.